In this paper, first, we achieve the first-order wave function of the heavy mesons through the Bethe-Salpeter equation with a confining kernel. Afterwards, by means of this function, the structure functions of the decays of B to D and D* are obtained, and the structure functions’ slope and curve are computed. The obtained results are suitably consistent with the empirical values. The flows expressing transitions according to the invariance structure functions, that solely depend on the momentum transfer (q2) between hadrons, are stated to describe the dynamics of the quarks inside the hadrons and weak hadronic decays. One of the methods for obtaining the structure functions is to apply the BetheSalpeter wave function (B-S). 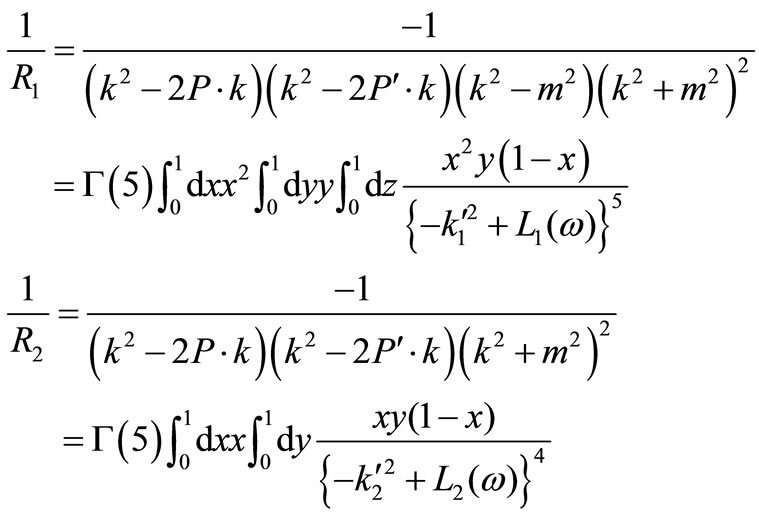 In this work, by virtue of the zeroand first-order B-S wave functions, the structure functions for the semileptonic transitions of heavy mesons ( ) are achieved. 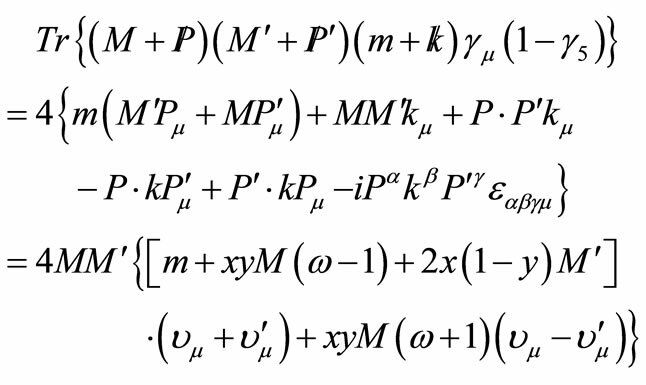 In this paper, we study the Beth-Salpeter equation for the bound state of two-piont particles with a confining kernel. 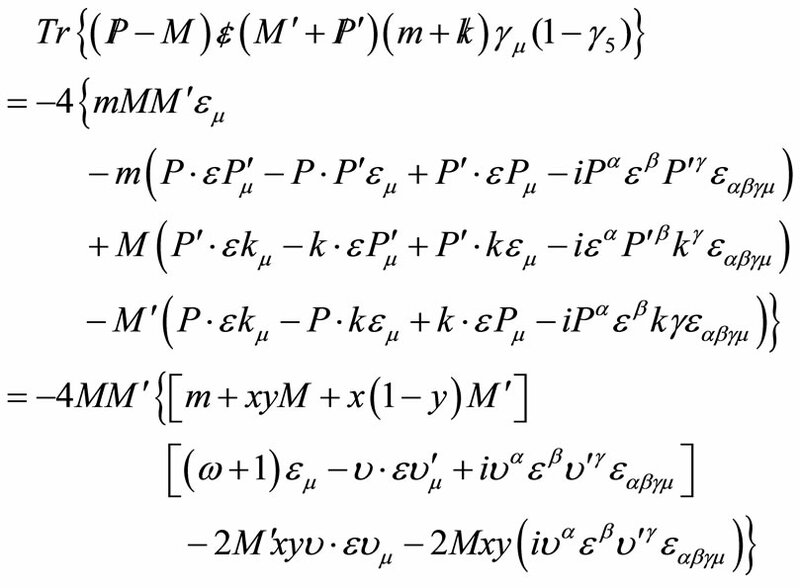 Accordingly, we achieve the wave function of heavy meson in the framework of heavy quark effective theory assumptions. We compute the semileptonic weak decay of B to D and D* using the BS wave function to give q2- dependence of the form factors. The obtained results for the form factors, their slopes and curvature are consistent with the empirical data. The QCD as the strong-interactions theory has succeeded in describing the high-energy physics. The discovery of asymptotic freedom has made it possible to perturbationally calculate a substantial number of physical quantities. Nevertheless, the QCD behaves inappropriately at the infrared region. For instance, there is not a tool to describe the enclosure of quarks so that either the lattice gauge theory should be utilized to describe it or the QCD should be utilized to solve it through creating effective theories. Nowadays, the weak decays of hadrons including heavy quarks are used for experimenting on the standard model and measuring its parameters. Especially, these decays are an appropriate tool to obtain the CKM matrix’s entries. Considering the QCD’s problems, the employment of completely independent ways of investigating such decays is of great significance [1-3]. To acquire the zero-order wave function, we conform to the references [1-3] that are based on the zero-order HQET. More, a confining kernel [4-6] is introduced for the Bethe-Salpeter equation; through utilizing this kernel, the first-order Bethe-Salpeter wave functions are achieved. Then, the structure functions of and transitions are obtained by means of the zeroand first-order Bethe-Salpeter wave functions. where is the amplitude of B-S for the bound state with the momentum P, is a kernel of B-S equation, and the s are the free particle propagators. In general, the kernel K is a sum of all irreducible renormalized diagrams representing the Green’s function with two incident fields and two outgoing fields. Therefore, if the amplitude of the zero-order wave function ( and the B-S equation’s kernel are available, the bound-state wave function can be achieved at every desirable order. where P and M are respectively the meson’s momentum and mass, and are the heavy meson’s momentum and mass, respectively. When the heavy quark is free, the quark spin can be generally indicated in a fourdimensional space of Dirac indexes. For example, a heavy meson is demonstrated by a two-index wave function ( ). However, when the heavy quark moves as fast as meson, is true for the Bergman-Wigner equation. 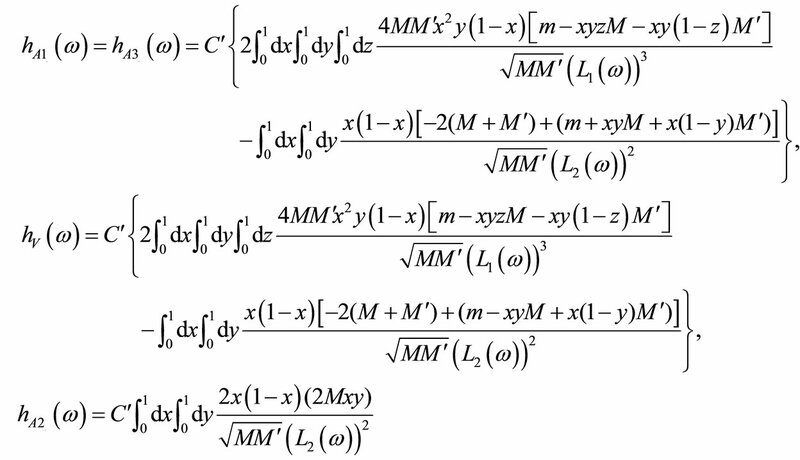 into which a new effective coupling constant (U), that has mass, is inserted to be simplified. The Fourier transform of the kernel of Equation (9) is a constant in the fourdimensional space ( ). This means that it does not behave same as a non-relativistic constant potential for which the like behavior is expected. Therefore, the kernel of Equation (9) is not exactly similar to the nonrelativistic constant potential, and the effective constant ( ) does not relate to a constant of such potential. This conclusion is predictable since the wave functions we chose were the static wave functions of extremely heavy quark; and as the HQET predicts for this state, the structure functions fulfill Equation (14) at the maximum recoil [7-14]. where C and are the normalizing constants that are computed using the Luke’s theorem . For the next computations, it is essential to have the structure functions as the functions of parameters without , while the structure functions achieved in Equations (25.1) and (25.2) are not only the functions of but also the functions of x and y which should be first integrated. 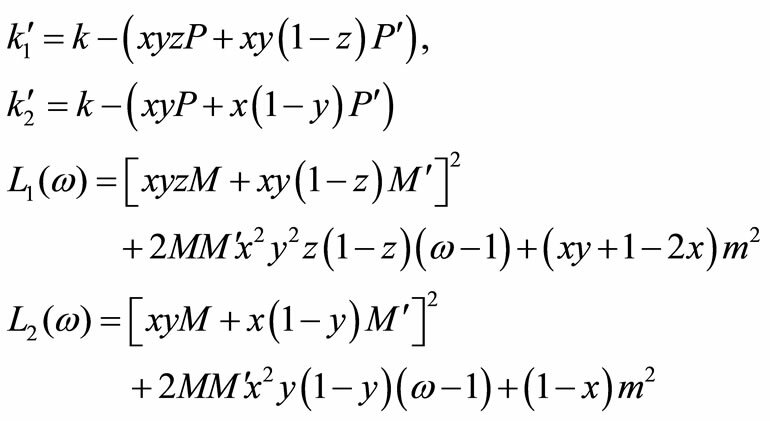 However, since the Mathematica software is unable to parametrically solve these integrals, and also regarding the fact that the structure functions are normal merely up to order, before the integration of x and y, they are expanded according to , and then x and y are integrated. The slope and the curve are considered as parameter. The results obtained using the zero-order Bethe-Salpeter wave function are similar to the results the HQET predicts for extremely heavy quark at the maximum recoil. Table 1 provides the results achieved using the first-order B-S wave function, some of empirical values, and the results obtained through other theoretical methods. As can be observed, the results acquired by means of the first-order B-S wave function for heavy-to-heavy transitions are appropriately consistent with the empirical values and values obtained in other theoretical methods. Table 1. The slope and curve values of transition’s structure functions (Vcd = 0.039 for , Vcd = 0.034 for ). The work described in this paper was fully supported by grants from the Institute for Advanced Studies of Iran. The authors would like to express genuinely and sincerely thanks and appreciated and their gratitude to Institute for Advanced Studies of Iran. M. Artuso and E. Barberio, “Present Status of Experimental Determination of Vcb,” High Energy Physics-Phenomenology, 2002, arXiv:hep-ph/0205163v1.